2010 Formula 500 Australian Champion Daniel Harding returns to World Series Sprintcars for his 4th consecutive campaign of Australia’s toughest national Sprintcar competition. 29 year old Daniel is determined to stand on top step of the podium during the 31st annual tour claiming he has completed his apprenticeship and it’s now time for him and his team to step-up and hit-out in a bid to score outright WSS wins. A recent 5 week USA campaign competing at Freemont, Lincoln Fairgrounds, Macon, Atomic and Eldora Speedways has the hard charger confident his consistency will improve in 2018 and his determination to get the job done will see the 12 Team share a much higher profile during World Series than past competitions. “We are all much more experienced at the WSS game now, the boys Dylan Willsher, my brother Trevor Junior and my dad Trevor are all looking for strong results.” Harding said. Daniel enjoys a number of tracks on the tour, especially the Murray Machining and Sheds Murray Bridge Speedway and the Ausdeck Patios Archerfield Speedway. “I can’t wait to get to Murray Bridge for the opening 2 rounds of the series, I love that track and look to kick off our campaign strongly at the venue, Archerfield is special to me as well.” Harding said. 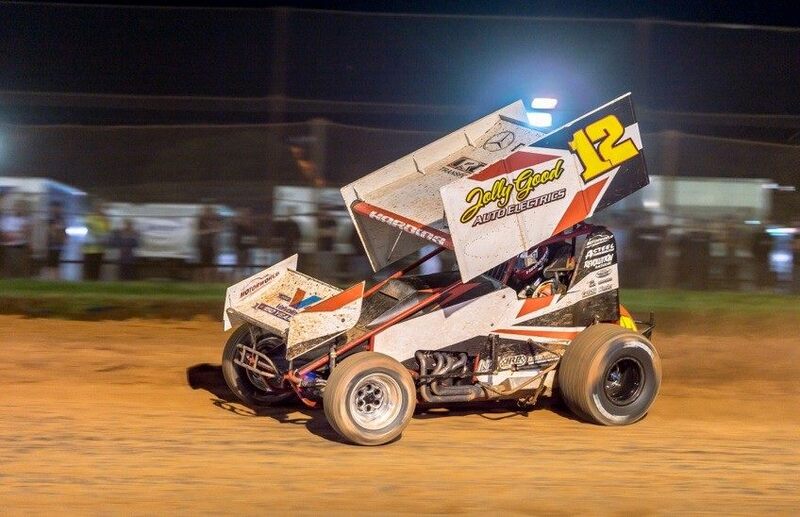 Daniel finished on the podium at the ‘Archerfield Wild Wednesday’ round of World Series Sprintcars last season claiming it to be the high point of his campaign. Daniel will campaign Maxim Chassis’ powered by KRE & Kistler under the banner of HRP Specialties, Jolly Good Auto Electrics and Rentco.